The Running Professor: Is Jared Ward a Favorite to Make the Olympic Marathon Men's Team Next Year? 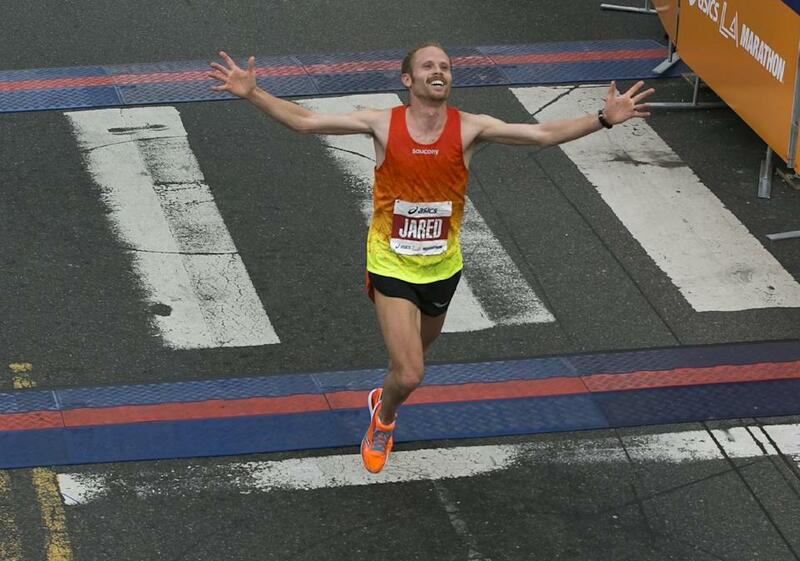 Is Jared Ward a Favorite to Make the Olympic Marathon Men's Team Next Year? March 17 2015. With his impressive, intelligent race this past Sunday in the Los Angeles Marathon, Jared Ward placed himself firmly into consideration as one of the favorites to make the Olympic Marathon Men's team next year. It is not only his thrilling victory and strongly negative splits that makes him such a strong candidate. It is the progression. From an initial Marathon in Chicago that was not that impressive, he moved up to run a very strong second in the 2014 USATF National Marathon Championship in the Twin Cities last October. His time was 2:14 but that is known as a tough course. To win the 2015 USATF National Championship five months later on an easier course, but with much hotter conditions, marks him as a strong and flexible runner who can adjust to different circumstances. Under the tutelage of his coach, Ed Eyestone, Ward is developing nicely. Until the last few months the members of the 2012 men's team, Meb Keflezighi, Ryan Hall, and Abdi Abdirahman, were generally considered the favorites. But Meb is the only one of those three with strong races in the last couple of years. We cannot count Ryan Hall out, despite another disappointing performance in L.A. Clearly he knows how to train hard and run a fast marathon. 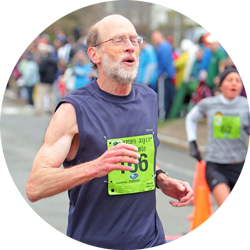 You do not run a sub 2:05 marathon at Boston by accident. Still, recent interviews suggest that he may not be as driven as other contenders. That is probably better for a fulfilling life, but it may not be the right attitude to punch a ticket to the Olympics. So let's move Ward into that circle of favorites. But do not forget Tyler Pennel, who chose to run at the 15K National Championship in Jacksonville the day before the LA Marathon. Tyler Pennel, heading uphill toward the finish line at the 2014 USATF Marathon Championship in the Twin Cities, with Jared Ward in the background. Pennel had a spectacular debut marathon at last year's USATF Marathon Championship in October 2014. His time of 2:13:32 does not look spectacular, but the Twin Cities course is known to be challenging. Unlike Chicago, people do not go there to run a fast time. And it was his debut. And who did he beat by 28 seconds? Jared Ward finished second. So we must put Pennel in the mix as well. It should be fascinating to watch how things develop over the next 11 months...and to see if other contenders emerge.